Organisational charts in general can’t tell you much about what happens behind the scenes in a company or an institution. They don’t show who is in or out of favour, they don’t map influence and informal lines of communication dictating priorities. However, when looking at previous versions and updates, they help to understand how an organisation is evolving, or at least the formal thinking about how it should. 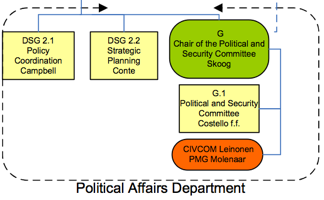 Last week the EEAS published a new version of its organisational chart (dated 1st of May 2012), displaying its internal structure and stating the names of key senior staff. Comparison with an earlier chart shows only minor modifications to the previous situation, and any serious changes would likely only come about in the upcoming review, set for 2013. Why is it then worth taking a closer look at it? It shows what is moving, how units are re-grouped and the new umbrella structures created. A new Political Affairs Department? At first glance it appears as if a new Political Affairs Department has been created, yet this is really the grouping of existing units more than anything new. 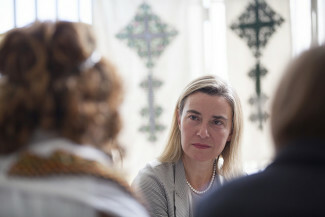 The EEAS was earlier criticised for not having one, and this seemed a structural weakness as most foreign ministries use their Political Affairs Departments to provide overarching political direction. Perhaps it was a tactic more than an oversight that the EEAS originally did not create a Political Affairs Department (on its organisational chart) as would have made look like a European Foreign Ministry, and some EU member states clearly weren’t ready for that. Now the EEAS can say both: that it has created a Political Affairs Department, and that not much has changed. 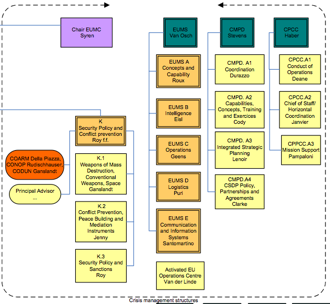 Indeed, some could argue that drawing of a dotted line on the chart, grouping existing units together and calling the units in the circle a “Political Affairs Department” is mostly a cosmetic creation rather than a reinforcement of capacity. Yet it is also a statement of intent and a recognition that something was lacking. Crisis management – growth or consolidation? 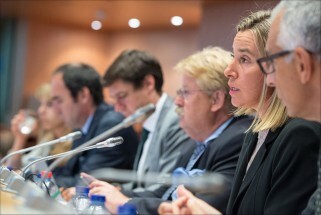 What also seem to have swollen in size are the EEAS’s Crisis management structures. This is partly true, but it is also a bit of an optical illusion: the current chart has a level of detail not given in the past EEAS organograms. It was expanded to show different units and divisions under overarching directorates that were simply not shown in previous versions. What is also new is the moving of Security Policy and Conflict Prevention from the Managing Directorate for Multilateral Affairs to the Crisis management structures reporting directly to Deputy Secretary General, Maciej Popowski. This potentially is good news in terms of its capacity for coordinated and integrated crisis response. Yet it would be a strategic mistake if the personnel were distracted from focusing on the long-term structural issues of conflict prevention and inclusive security to short-term crisis management. This is because units dealing with short-term crisis management and response already exist, but also as a recent evaluation ECDPM was involved indicated it is the integrated approach with a long-term component that is where the added value of EU institutions lies. 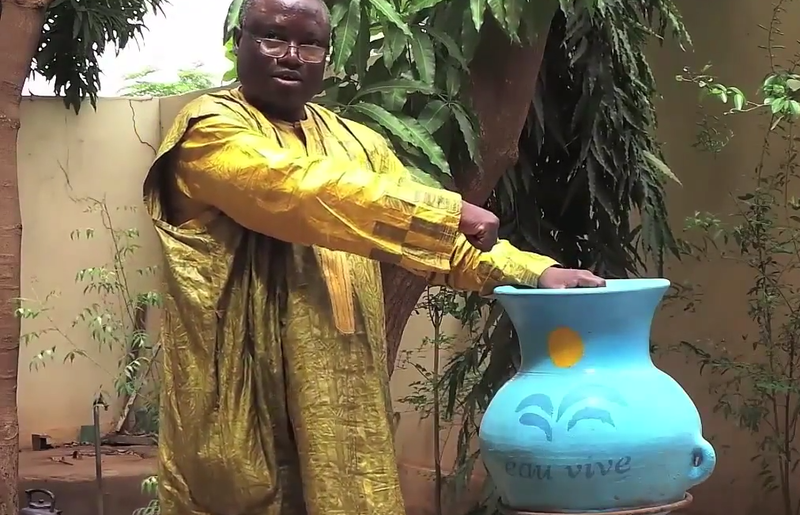 Who is who for Africa? Since ECDPM’s analysis of the EEAS diplomats for Africa last year, there have been changes: Koen Vervaeke (Belgium) returned from the EU Delegation to the African Union to become Director for the Horn of Africa, East Africa and the Indian Ocean. Sean Doyle (Ireland) returned from heading the EU Delegation in Vietnam to Head the Division for West Africa. 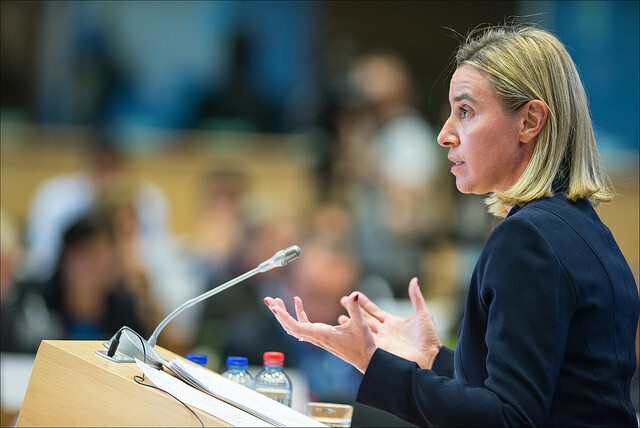 As we noted previously, the EEAS chose not to treat Africa as one with the Managing Directorate IV covering North Africa, the Middle East, Arabian Peninsula, Iran and Iraq. A key appointment here was in June 2011 when Christian Berger (Austria) took up the position of Director. Berger had previously been with the EU in West Bank/Gaza and was head of DG RELEX’s crisis response and peace-building division. In the past ECDPM said that the EEAS is looking underequipped on development issues, both in staff and institutional positioning. 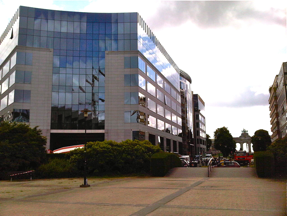 There seems to be only one horizontal division (VI.B.2) in EEAS Headquarters with development as core business. If this division, in charge of programming, also has to deal with all other development policy issues (e.g. the negotiations between the Parliament and EU member states of the legal basis of cooperation instruments), then one can wonder whether it is sufficient to support the EEAS hierarchy and colleagues in making an evidence-based decisions. For example in the geographic programming of development resources and determining which focal areas might be best for which countries’ development. Let alone assisting the High Representative and Vice President engage with the other members of College of Commissioners. This is important for policy decisions in their portfolios that might affect development therefore promoting “Policy Coherence for Development” as envisaged in the Treaty. With the EEAS getting up to speed in its new building in Brussels attention is now turning from the Headquarters to the EU Delegations. Plans to create or significantly strengthen EU Delegations’ own Political Affairs Departments is another innovation stemming from the Lisbon Treaty. 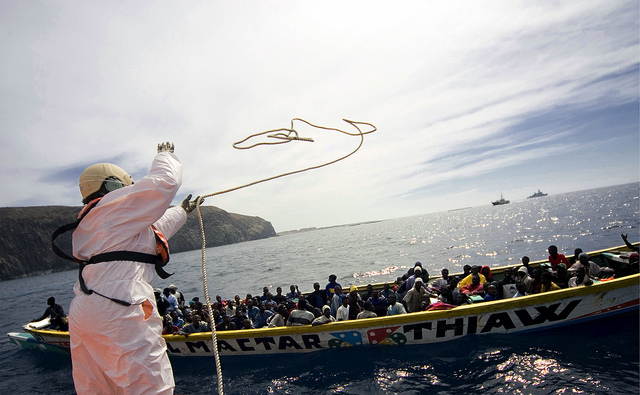 EU Council President Van Rompuy himself has talked about a growing trend from EU member-states to explore the options of EU Delegations representing them. Indeed, the performance and relationship of the EU Delegations to other stakeholders, such as the EU member-states, dictate the success of the EEAS just as much as any changes in headquarters structures. Andrew Sherriff is Head of Programme EU External Action.